In the world of changing consumer tastes, food fads are a particularly moving target. From the Wonder Bread and meatloaf of the 1950s, to the kale and quinoa of today, healthier, more nutritionally beneficial alternatives have gradually been taking prominence in fridges, pantries and meal-time choices — and nowhere is that more noticeable than in the whole category of snacking products. Nielsen research reveals that healthy items such as Greek yogurt, fresh-cut fruit, and deli dips such as hummus, combined for more than $6 billion in sales last year. This trend is backed by Barnes & Noble College’s recent Snack Attack report that showed 73 percent of college students considered nutrition a criteria when buying a snack — with 65 percent actually purchasing a nutritious snack once a week or more. It’s a trend that seems far from the traditional late-night dorm room pizza or a study habit fueled by caffeine and carbs, but it’s one that Barnes & Noble College is more than ready to meet in their campus cafes and convenience offerings. As one of the company’s buyers, a key element of her job is to weed out fleeting food fads from discernable trends that will appeal to her campus customer, and she sees the highly visible move towards healthier products and ingredients as reflecting that kind of longer term lifestyle shift. “Something this significant speaks to a lifelong preference, and is a result of how students are being brought up by parents who, for example, might be making their own bone broth at home, are drinking kombucha or who have a deeper understanding of the workings of probiotics,” she says. 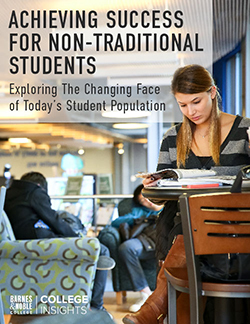 It’s also the reason why the Barnes & Noble Café & Convenience teams are looking to not just stock shelves, but find new ways of merchandising and presenting an experience that resonates with their students as more educated consumers. “One idea we’re developing is a store-within-a-store concept for organic natural and functional beverages,” Jandernal says. “The presentation design would be custom to each store and will help create a destination, perhaps, integrated into the coffee snack section, to help shoppers more easily find what they’re looking for,” she adds. Presentation of food items also speaks to the importance of store design as an opportunity to experiment with changing customer expectations — and if students have been raised in more healthful homes, they’ve also discovered strong preferences for experiencing food service in a way that is customized to their own expectations. 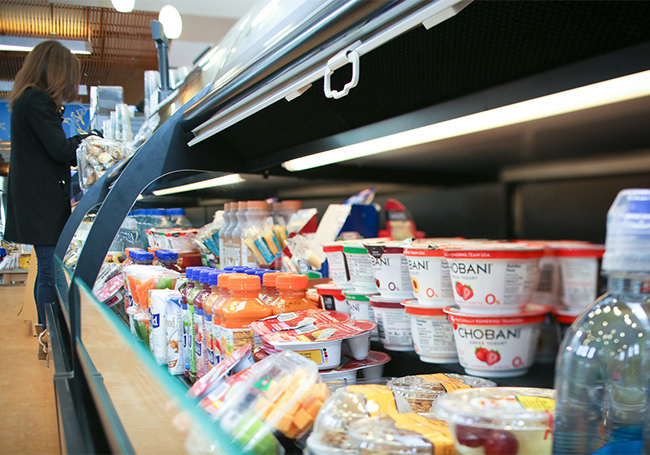 Barnes & Noble College is testing that theory in a partnership with Chobani and the installation of a Chobani Creation Bar, where customers can choose their own yogurt flavors and toppings on a self-service basis. “It’s a presentation idea that works for us because, although it’s pretty turn-key, it gives the right amount of personalization our students are looking for within our store footprint.” Jandernal says. 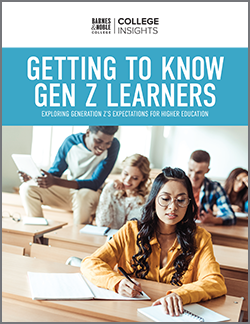 Tests like these, which provide Barnes & Noble College with valuable insights to their customers’ needs and preferences, have proved to be a winning formula. “To that individual campus partner, we want to be viewed very much as a local company, so it’s important to consider each store individually, and really understand the regional differences and trends of each particular campus community,” she points out.